I did want to share one last thing from the Down in the Garden party from last week though, which is a new printable treat box design; the "Hook Treat Box". Called that because that's how the top closes - genius?? Actually, I couldn't think of a better name, so 'hook' it is! 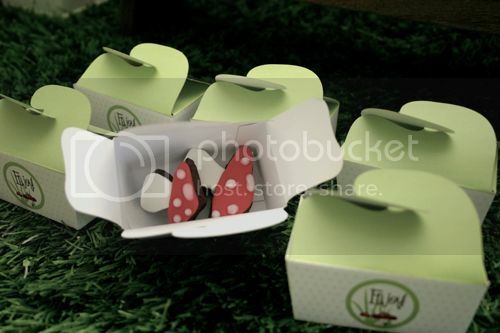 These were the party favours for the guests and they had two mini toadstool cookies inside. The cookies were from Linda of Bubble & Sweet, and the chocolate flavour was delish! 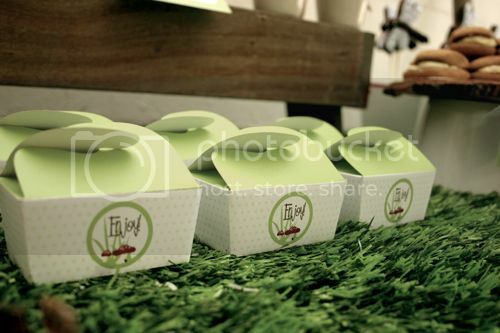 They are one of my smaller boxes, so great if you don't want a lot of sugar or have something smaller as a gift to guests.